We begin this list with one of the most recent entries. 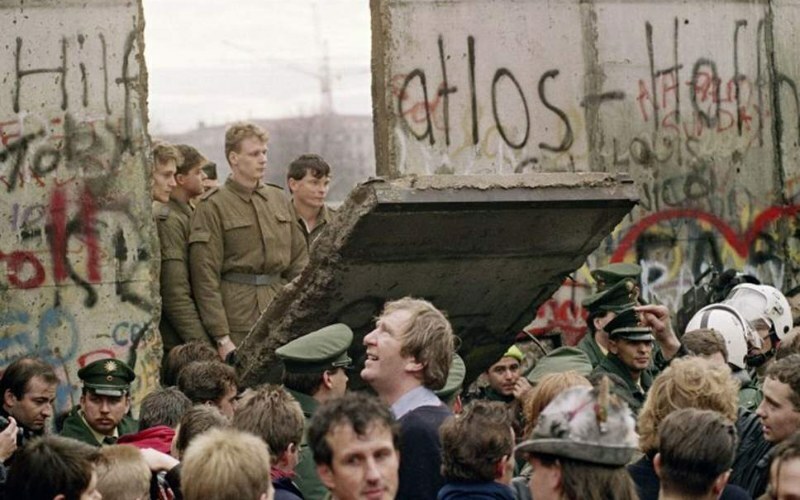 The fall of the Berlin Wall in November 1991 is useful because it’s a signifying event. After the end of the Second World War, Germany was split in two. Added to that, the USSR and the western powers split the German capital in two. An entire city, acting as a living, breathing metaphor for the decades-long Cold War. Many people recognise the tumbling of the wall as the delineating point in the end of the tensions; the ideological conflict between the capitalist west and the communist east came to an apparent close. Who would have thought the image of David Hasselhoff crooning on top of a collapsing pile of concrete would have been so important?